Bter is one of the crypto exchanges that offer both cryptocurrency to fiat and fiat to cryptocurrency trading services. While the platform is a relatively new name in the industry, they are starting to climb the ladder. In terms of features and services, the site is glad to say that it can cater to your needs and wants in numerous ways. The team behind it continues to bring innovative ways to the table in order to make your crypto coins trading experience even better than ever. The website displays the necessary functions you need in order to start. All the essential tools are laid out on top of the page for easy access. There is a search function that could provide some help for beginner users. The site offers two languages, which includes English and Chinese. In addition to that, you can download the Bter desktop application if you do not want to access it through your web browsers or the mobile application if you want to open the site on your smartphone or tablet devices. You have the option to trade over 50 cryptocurrencies aside from Bitcoin. Bter imposes trading fees that can be as low as 0.20% per trade. This rate may adjust from time to time. On BTC/USD the spread is set at above 5%, which some may think as too expensive. Fiat markets are relatively more limited with only the USD and CNY present. Bter presents bonus programs like interest on deposits and rewards for active traders. There are various compensation to the spreads you can look out for. Using the payment options is limited to EgoPay, which is a third-party payment service. 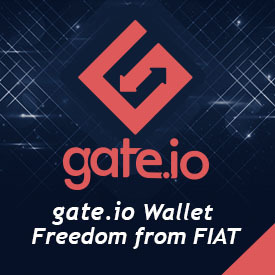 You have to fund your EgoPay account using your selected mode of payment, then fund your Bter accounts. While this process takes time and is costly, it does the job. There is a minimum deposit of $100. Withdraw as much as $20,000 each day. Bter makes sure to listen and answer all your questions and suggestions. You can get in touch with the team using a chat function and e-mail. Both English and Chinese languages are supported as well. In addition, there are FAQ pages that could help you find answers to your queries. While the customer support aspect still has a long way to go, it is nice to know that the operators are more than willing to help out its users.